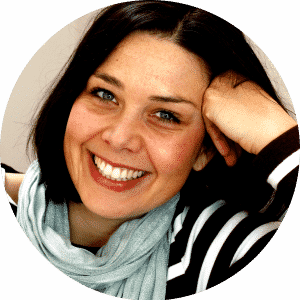 This post contains affiliate links, meaning at no extra cost to you, will earn a commission if you click through and make a purchase. Thank you! 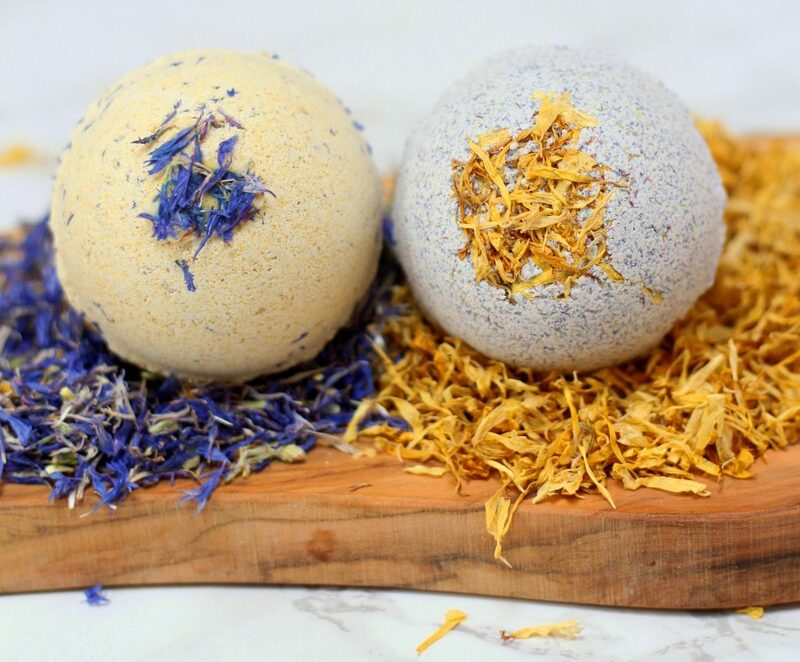 It’s been bath bomb mania around here. Every day I’ve been testing and trying out new ideas. I’m mainly obsessed with one design idea that has been floating around in my head for quite a while. BUT, I can’t make it work just yet. Who can relate? 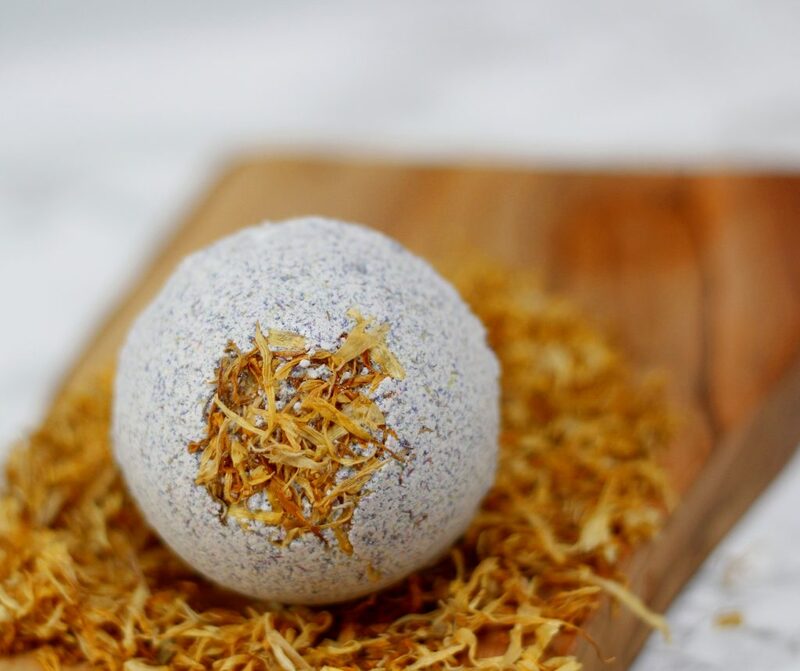 This bath bomb recipe is basically 2 in 1 or maybe even BOGO if you will. Why? 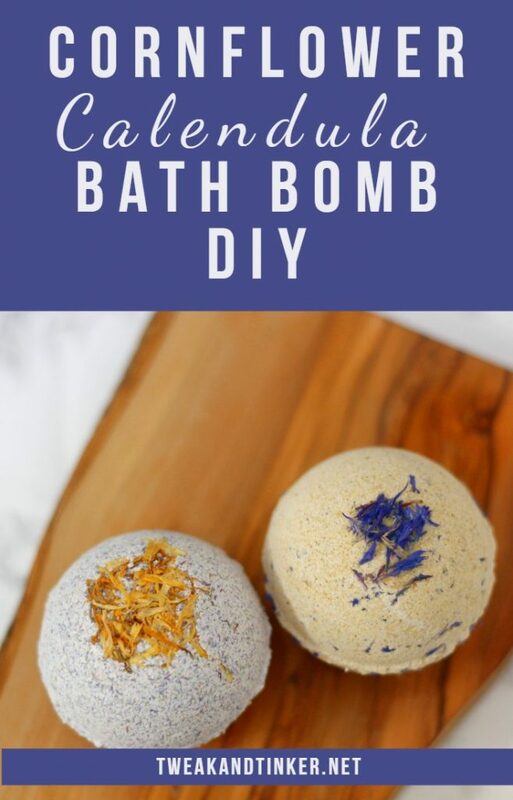 Well, with the exact same ingredients you can make two differently designed bath bombs. Pretty neat, huh? I’m a sucker for this sort of thing. Mainly, because I don’t like to waste anything and am an aspiring minimalist (if that’s even possible with two kids ;). So, this project was right up my alley. I love how the bath bombs turned out a little rustic looking and the best thing: all natural colorants. Let’s dive right in. Shall we? 20-30 drops essential oils: I’m using a blend of equal parts of sweet orange, ylang ylang and lavender – you can use whatever EO you have on hand and like. 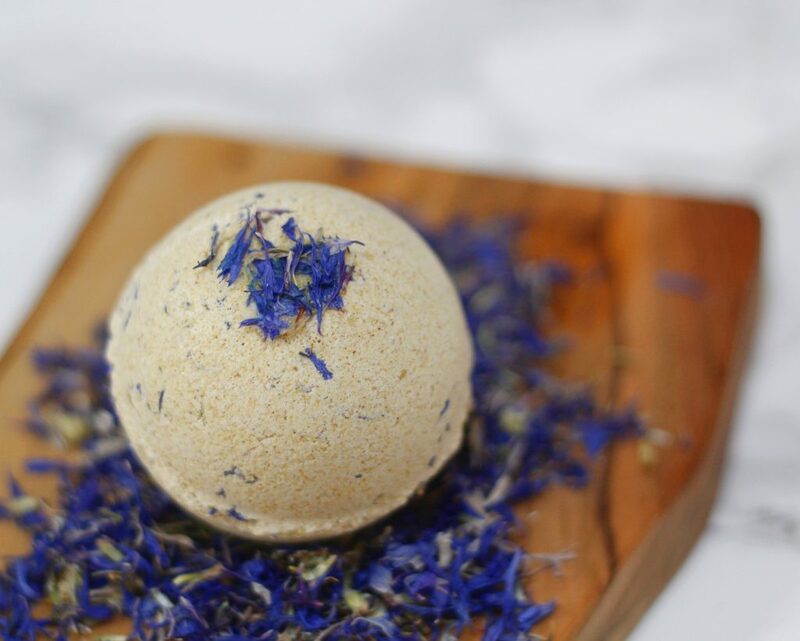 You would use the same ingredients as mentioned above except that you would add 4 Tbsp of finely ground cornflowers and a couple of pinches of calendula petals to garnish. 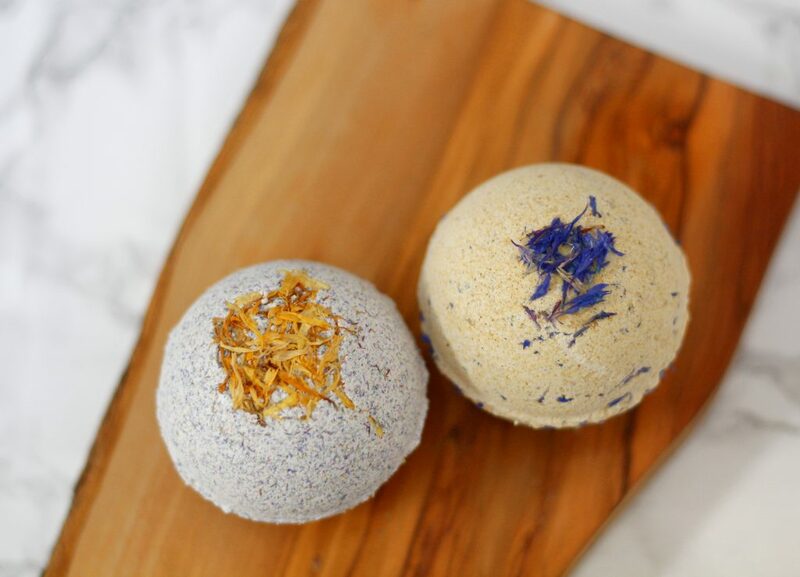 How do you get the cornflowers to stay on the bath bombs? I made a batch of bath Bombs and used colored Eason salt as the garnish but when it dried they fell off. Hi Angela, I’ve never had that problem. My guess is that your mixture might have been too dry and didn’t bind properly to the Epsom salt.